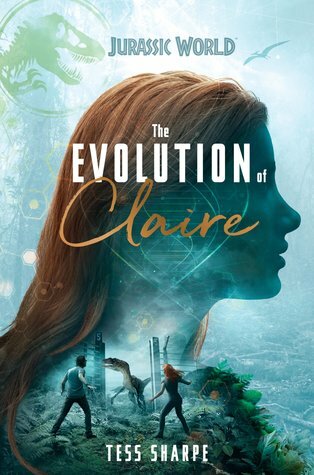 Discover the beginnings of one of Jurassic World ‘s most beloved characters–Claire Dearing–in this original action-packed young adult novel. I had high hopes for this book because I love the Jurassic Park/World franchise. I think this book met my expectations and then some. I won't lie in the Jurassic World movie I wasn't a fan of Claire at first. She didn't seem to care at all about the dinosaurs that they created. They were just a means to money for her. I liked Claire a lot in the book, though. She loved animals (dinosaurs included), she was incredibly smart and driven. She was a woman that had a lot going for her and was very ambitious about what she wanted for her life. At first, I was very curious why Claire would be chosen for this internship. The more I got to know her, though, the more it made sense. I didn't really care about the mystery behind the missing intern at first. I felt like Claire should just do her job instead of getting herself into trouble and break all of those rules. Obviously, in the end, the mystery played a big part so I understood the need for it. I still hate that they did that to Justin, though. That reason alone is the only thing I can think of for her turning so cold. Let's face it she was pretty cold in the movie. I was shocked by Tanya and Eric. I hated that the author did that to those awesome characters. I get it but I still didn't like it. There was so much to love about this book. I feel like I talked about all of the bad so let's dive into the good. I liked how the girls had each other's backs and how the guys also took up for them especially against Wyatt. He was a douche. I liked all of the science jargon. I know that turns some people away from books but I love it. I like walking away from a book feeling like I learned something. It was fun to know how a political science major got the job that Claire had. I spent the whole book wondering how that was going to happen, it all makes sense now. All in all, this was a good book. It was filled with dinosaurs and science lingo. It was empowering. I loved it.